Car fob replacement is a common need of motorists today. Most newer cars have car fobs to allow car owners to lock and unlock their vehicles remotely. But car fobs are sensitive and easily damaged and car owners often return to the dealership and pay an arm and a leg to have them replaced. But there’s a less expensive option. We are 858 Locksmith, and for years we’ve been providing motorists in San Diego and surrounding areas with car fob replacement quickly, professionally, and for a fraction of what the dealership charges. A problem with car fob can happen at any time. This can be frustrating, inconvenient, and dangerous. We are experienced locksmiths. We’ve been providing complete locksmith service to motorists in the San Diego area for years. We offer the highest quality service at a fraction of what our competitors charge. We understand motorist simply want the problems with their automotive locks taken care of quickly, properly, and at a reasonable price. Our expert technicians do the job right and provide fast and friendly service and up front pricing. The technicians at 858 Locksmiths are the best in the industry. They are licensed bonded and insured and have been specially trained to replace the fob on any make or model of foreign and domestic cars. 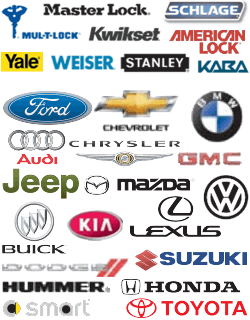 Plus each of them has 5+ years of experience, so you can rest assured they know exactly what to do when it comes to replacing your car fob. They are locals and know San Diego, CA and surrounding areas well. This enables them to guarantee a 30 min response time on every job. Our mobile locksmiths are courteous, professional, and always on time and can have you in your car and on the road in a flash. A car is one of many people’s biggest investments. People depend on them to get to work, school, or handle their family responsibilities. Should anything happen to the locks or car fob, they want it repaired quickly and properly. When you want the highest quality complete locksmith service, all you have to do is give us a call. Our staff of mobile locksmiths has the tools and training to do the job right. Plus we only use the highest quality equipment to do your lock and car fob replacement. All our work is guaranteed and we provide the best customer service in the industry. To us the job is not complete until the customer is satisfied. To do car fob replacement and other locksmith services properly, you need the right tools and equipment. Car locks and keys are more complex and technical than ever before. Having an untrained technician work on your car locks or replacement car key remote is a disaster waiting to happen. Our locksmiths are armed with the latest high-tech tools and equipment and are specially trained in their use. Their work vehicles are stocked with all the tools necessary to handle any problem you are having with your locks or car key fob right in a matter of minutes. Problems with your locks or car fob can happen at any time of the day or night. So our automotive locksmiths are always ready and waiting to assist you. Being unable to get in your car can be dangerous and inconvenient depending on where you are and what time of the day it is. If you need an automotive locksmith just give us a call and we’ll be there in a flash. Our licensed bonded and insured expert technicians know San Diego, CA and surrounding areas well and can guarantee a 30 min response time. This can make all the difference in the world when you are locked out of your car. If you need car fob replacement or complete locksmith service anywhere in San Diego, CA and surrounding areas simply give us a call. 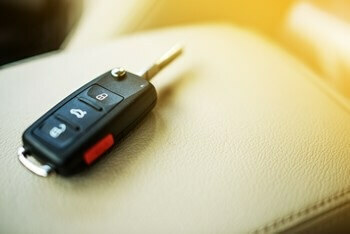 We offer 24/7 locksmith service and can provide a replacement car key remote for all foreign and domestic cars. Plus we offer up front pricing and fast and friendly service by an honest, professional automotive locksmith with 5+ years experience handling the most complex locks and car fob replacement. Car Fob Replacement https://858locksmith.com/car-fob-replacement/ 3.9/5 based upon 19 reviews.